Posted on October 25, 2012 by caseybergman. This entry was posted in academic life, peer review, research blogging, scholarly publishing. Bookmark the permalink. THANK YOU for taking the time to smack down the curiously blind reporting that has followed this study around. Thanks, this issue has been bugging me for two weeks and seemed not to be going away. Hopefully this post should stem the tide a bit. Used this exact example in a talk last week about misleading headlines vs actual data in a talk to new grad students but your take is much more compelling. Glad to hear I’m not the only one trying to beat back this spin! Overblown small effects….sounds a lot like genome-wide association studies :) The journals are now primed…. Absolutely, I’ll swipe Jim’s idea to use this as a teaching example on effect sizes and P-values in the stats unit I’m teaching on currently. Haven’t read the paper in question but at the time I thought the simpler problem with this conclusion is that high impact journals have higher rejection rates, and papers in high impact journals tend to get more citations. Given that most papers end up in their first submitted journal, an increase in citations seems a foregone conclusion. Have I missed something? Did they control for this somehow? Interesting point, and yes I think rejection rates of the original journal are an important confounding factor that should have been taken into account. A nice analysis of the subject. Thanks for putting it in writing. However, is it true that “>75% papers are published in the first journal to which they are submitted”? This is certainly not my experience, and I also doubt it is the case for those researchers with whom I have had any contact. But I don’t have any data to back up this, it is just a feeling that may be biased by my circunstances, as Ortega y Gasset put it “yo soy yo y mis circunstancia”. Also, selecting for the appropriate journal does not grant acceptance. Many times the view you have of your work is not corresponded by what the reviewers see in it. And this could be a point in favour of pre-prints. Thanks for this analysis. I think you’re conflating the paper itself, which includes this (weak) result as small part of a much broader picture of manuscript flow with the part the media picked up- the authors can’t be blamed for the latter. Everyone and their dog has a strongly held opinion about science publishing (peer review is broken! Science and Nature are Evil! OA journals will destroy the world! ), but there’s a massive dearth of sensible studies of what’s actually going on. The Calcagno paper is scientometrics’ equivalent of the human genome, in that its scale vastly surpasses many previous studies. I just wish that they’d release the data so we could get one with evaluating all the other claims and counter claims that people are making. Thanks for writing. They can preserve anonymity while still releasing all the data that matters. That ought to be good enough. I agree that you can’t blame authors for how the media may pick up your story, but I’m not so sure that the authors have no role in how this message got out. In this regard I note that the authors themselves use the misleading term “significantly more citations” in their abstract (“Resubmissions from other journals received significantly more citations than first-intent submissions…”). This may be just due to terseness of wording in an abstract, but it is undeniably ambiguous. For a politicially contentious result like this, it would have been wise to use more measured language such as “slight but significant increase in citation number”. Would this take on describing the result gotten it into Science? On the issue of data release, I agree there is no question that the data should have been made available at the time of publication. The REAL morale to take from this affair: If you’re a young scholar in need of a career boost, try to write an article whose existence would be beneficial to the old gatekeepers. Joking aside, I would naturally assume a much more significant effect than they caught: merely by submitting the paper, you make more people aware of it, namely the reviewers themselves. In obscure fields where the total number of people who will read the paper at all is in the single digits, submitting to an extra journal could have a massive impact on the number of total readers! -1- I have posted the raw data for more than 75% of our article one week ago on my website and several people downloaded it including Casey. As I have explained on the Science website, I cannot release the last bit (citation counts) because of an ethical issue: this would allow identifying the respondents. McGill’sEtical Board (who had validated the initial study) told us we could not release this data as it would violate what we promised to respondents. So there is no Science Open Data policy here, it is merely ethics I’m afraid. How many social science studies publish the identity of participants by the way? -2- Figure 4 presents the raw data and are not well-suited to estimate effect size (we do not in the paper). I wish reviewers had been as careful as you guys; we would have improved the Figure! I’ve been lazy on that one I admit. To compensate, I have posted on my research site much more Figures and explanations with effect sizes. Go see it by yourself. The effect is maybe not huge (but who’d seriously think it would be, a priori?) but I would not say it is tiny or so small to mean nothing. All this is subjective, but an effect is here and it is consistent. Remember that this 3 to 5 years post publication: most articles were cited zero to 50 times. And the effect is quite clear in this range. It is the first time one can look at that, we barely scratched the surface in this Science report. -3- I do not think there is a conspiracy so that Science published this because it puts them in a good position…. Maybe the 200,000 email sents and 80,000 data points to build the first resubmission network are a more parcimonious explanation. Of course I’m just a junior scientist so I don’t know, maybe I’m too naive… Anyways they took 8 months to have this accepted, I guess they could have been faster if they were so eager to publish propaganda. -4- We did not control the buzz, or very little. I’m the first one to be annoyed with the over-focus on Figure 4A and speculations around it… So please people, just read the research, and try not to get intoxicated by the buzz. Hi Vincent, thanks so much for taking the time to post your comments here. Let me first apologize for the initial version of my post containing an inaccuracy about your work – this was an oversight due to my initial misreading. I tried to correct it as soon as possible as @balapagos alerted me to the follow-up post on your blog (I think I missed this probably since the posts were out of chronological order), which made me re-read the supplement more carefully. This was entirely unintentional, and I hope didn’t lead to any further misconceptions about this issue. 1 – As far as making data available, I commend your making the network data available so quickly after publication. My point about data not being available specifically concerned the citation data behind figure 4, which remain inaccessible, not the entire study. I understand there are ethical issues about making citation data available, and I respect the decision to maintain participant confidentiality. In fact, I doubt ISI would let your release this data as well. Nevertheless, there is the relatively serious issue that in the absence of making these data available, it is impossible to replicate and build on your results. Moreover, not making data available explicitly goes against Science’s own policies. It would also be good to know if the Science editorial team ever requested you to archive the data with them, and what discussions you might have had with the editorial team about making data available during review. 2 – Thanks for taking the time to post this additional analysis, which I see does further support the effect (showing the shift in the distribution of citation counts more clearly). I must say, however, I am not able to estimate the actual magnitude of the effect (i.e. differences in median citation number) from these new plots very well. My interpretation from 4A is that the magnitude of the median difference overall is very small (<1 citation). Is this your interpretation as well? Clearly more analysis would have been useful in the paper, given that this result has become such a hot issue. And again, it is a shame that others can't work on this dataset to help get to the bottom of what is going on here. 3 – To be clear, I have not said there is a conspiracy theory here, and this was the reason the paper was accepted; this was not my intention either. I fully acknowledge the heroic effort you've undertaken to assemble this dataset and the have no issue with the importance of the network results. What I said is that the work is clearly in alignment with the interests of highly selective journals like Nature and Science. When most humans receive a bit of information that is consitent with their preconceptions, they are more likely to accept this information as being true. It is this kind of *hidden bias* that I fear would have been operating in the editorial staff that I am raising as an issue, since a result like this justifies the worldview of organizations like thse. I think it is fair to raise issue with the motivations and biases of the editorial staff of selective journals, simply because biases like these can play a subconscious but important role in the subjective judgement about whether to review or accept a paper, and further how to handle it's post-acceptance press coverage. As far as I know, Science does not make all of its papers available online first through Science Express, so why did they choose to do so for this paper? Additionally, if the rejection-citation result had been no difference, or a difference in the opposite direction, I doubt this would have contributed to the story much and probably been left on the cutting room floor or buried in the supplement. No difference is a negative result, and Science is not in the business of publishing negative results. A first-submission-leads-to-higher-citation result is expected since people tend to submit to higher impact factor journals first, and if they were accepted on first submission this would naturally lead to this relationship. Thus, there is only one outcome that is *novel* and would lead to the Science editorial staff seeing as having any “wow” factor. This novelty bias is consistent with their orginzational bias, and again I think would lead to a more favorable treatment of the paper relative to a paper, relative to one that just had the network story with no citation analysis or a null/opposite citation result. 4 – I'm glad to see we are on the same page here. My intent with this post was honestly only to provide counter-spin to the massive buzz that is being uncritically propogated by the press and many of my colleagues. Yes, this happens all the time in science, this is not unusual in this sense. What is special about this instance is that this meme touches on an important issue that affects the lives and livelihoods of many young scientists, and is seriously damaging the flow of scientific information in the view of many people. 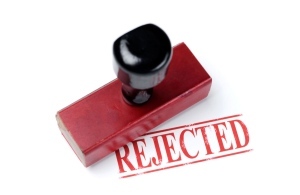 The idea that "you should always submit to the highest impact factor journal first and risk rejection" or that "if you papers aren't getting rejected, you're not submitting high enough" are sadly very prevalant and are forced on many junior scientists by senior scientists and technocrats. This misguided viewpoint overflows the publishing system with many excess submissions, places a heavy burden on the reviewer pool, and leads to scientists over-hyping their work to get into the highest impact journals. The latter effect is very serious, as it may in fact be leading to a distortion of the science that gets published, and may behind why higher impact journals have a higher retraction rate. Thus, I view the "rejection-improves-impact" meme as a very dangerous idea, which has political and economic importance outside the academic confines of scientometrics. Thus I felt that the one-sided media campaign needed a voice on the other side to force people to actually look at the data and consider why the buzz is being generated. I'm fully sympathetic to how you must feel about your work getting caught in the cross-fire and I'm grateful that you've not taken this issue personally. Again this was not my intent. Thanks very much for this thoughtful post as well as the followup comments. I’d like to add a couple thoughts to Vincent’s above. In my reading of the discussion to this point, I see two big concerns. First that the results of the paper have been overstated, particularly in the media; second, that the raw data underlying the study has not been made available. On the first point, I have two comments. 1. I completely agree that media has reduced the paper to a rather misleading tagline. Beyond overstating the results, I’m also very concerned about the causal relationship that is suggested: we most certainly aren’t suggesting that getting your paper rejected makes it better. It’s the process of receiving critical feedback and revising it with this in mind. It’s not the rejection part that of the process that makes a difference. I suspect that most scientists realize this, but it still bothers me that it’s being stated this way. More to the broader point of media coverage, this is incredibly hard to control. Furthermore, media outlets are both trying to drum up readers and make the results of the paper accessible to a broad audience. So some simplification is to be expected. Note that I’m not saying that the meme level status that this idea has reached is an appropriate outcome, just that overstating things seems to be something that the media in its current form is good at. Countering this is very hard. 2. In terms of the statistical significance and the size of the change, I agree that the effect isn’t earth-shatteringly large. Certainly, I don’t think anyone would expect the change to be massive. However, keep in mind that it was impossible to control for every confounding variable. Thus, the observed effect is attenuated by the presence of other confounding factors that we couldn’t remove (this is simply due to the size of the dataset and the variables that were available to us). So the way I interpret the published result is that (a) there *is* an effect but (b) we really don’t know how big it is. I suspect, for instance, that the size of the effect could vary by field, journal, and publisher. These would all be really interesting factors to tease out in a followup study. As for the raw data, we would *LOVE* to share it – possibly me most of all. Last year I was the data chair at a large data mining conference (ICWSM) and created an initiative to encourage data sharing for all papers published at the conference. So I deeply believe that data sharing is important. However, so is upholding the agreements we make to the participants in research. In the case of this work, each participant was guaranteed the anonymity of their response. Consider what this means: if we release data that allows the identity of even *one* author to be reverse engineered, we have broken the contract that made this research possible in the first place. So it’s true that the McGill Board of Ethics ruled against sharing the data. But, realistically, even before we received their ruling, it was clear that sharing the raw data was out of the question. We’ve discussed different ways of anonymizing it and simply couldn’t come up with any strategies that would fully protect the identities and responses of the authors while delivering some near-complete version of the data would be useful for validating our results or conducting further research. I’m very sympathetic to anyone who is frustrated with this outcome, but in this case we really don’t have a choice. Hi Derek – Thanks also for posting your views on what is apparently a hotter topic than you might have imagined. 1 – It is great to hear that you are also concerned about the way this result is being spun, especially the issue of causality. As I note in my reply to Vincent, I trust you understand my post was meant to help counter the spin making the rounds in the media, and more importantly, in coffee rooms, PI offices and tenure committee meetings all around the world. Possibly this might have better come from the authors themselves, and I apologize if this post has come across as being too harsh about your work. 2 – Clearly there is still much to do on this topic, and I would be particilar interested to see how the number of reviews (which you probably don’t have data on), rejection rates and discipline affect these results. Though, I’m not sure whether controlling for other factors necessarily would be expected to lead to an increase in the effect size, as it may in fact be a correlated confounding variable that is leading to the “rejection” effect. This raises the general problem with data mining — one never knows when to quit incorporating additional factors, and moreover, in the end it is very difficult to prove some unkown factor isn’t still lurking in the shadows. Which somewhat begs the entire question of the value of citation analyses like these – what ultimately can they *prove*, and therefore what is their value scientifically? I’ve dabbled in this topic myself (who hasn’t?) and come out the other side of the rabbit hole with the impression that scientometrics is ultimately quantitative navel gazing. The problem is that technocrats take the numbers seriously, and thus scientometrics quickly becomes a tool of oppression, both by scientists and the publishing industry. Maybe I’m too cynical about this, but after having grand schemes of how to predict (and write grants on) future high-impact research based on citation analysis, I’ve decided to get on with actually doing the science I know and love.